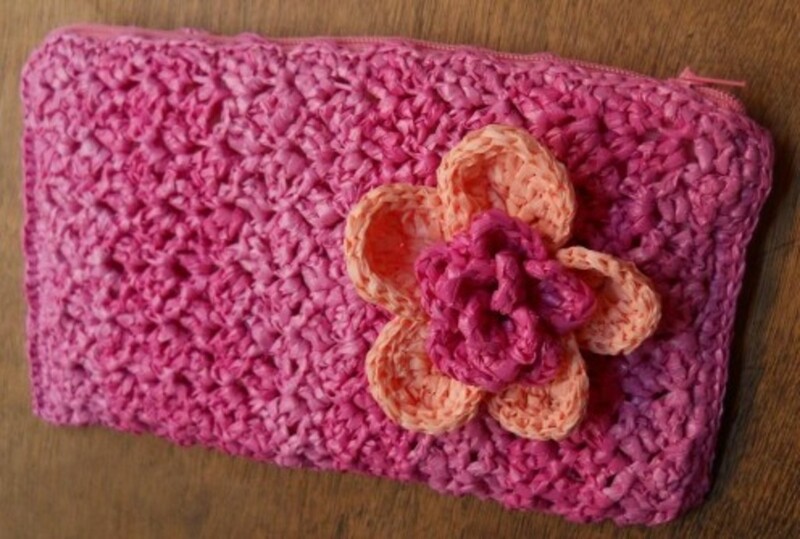 BROKEN PROMISE Crochet Pouch baring the flow of this pattern - how to change color invisibly. I'm not sure if its the pattern or simply my lack of crochet skills. :D Nevertheless, it's still pretty. My sister asked me to make her a pouch that she can use during exams. It is to contain her calculator, phone, and wallet only. 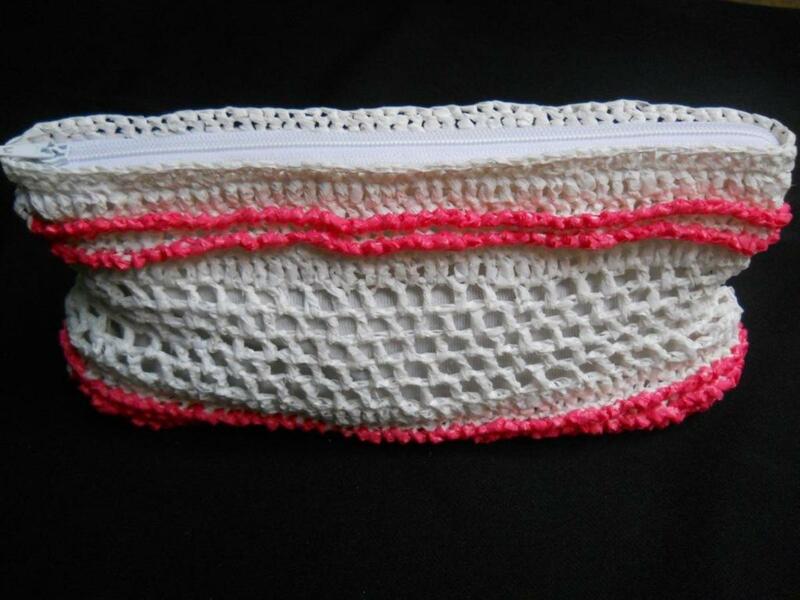 The Bushy Pouch was my first attempt to satisfy her request. but she didn't like it. This is my second attempt and I'm quite sure she'll turn this down. I just know it. 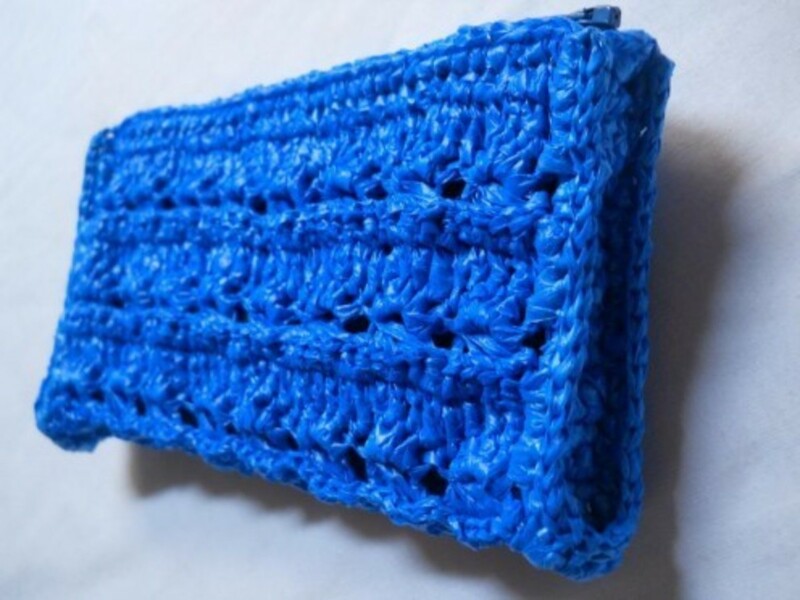 But I still continued this pouch because I wanna pursue the idea of using crab stitches (or reverse single crochet) as an accent rather than an edging. I kept the background (the white stitches) simple so that the crab stitches (the pink stitches) could take center stage. 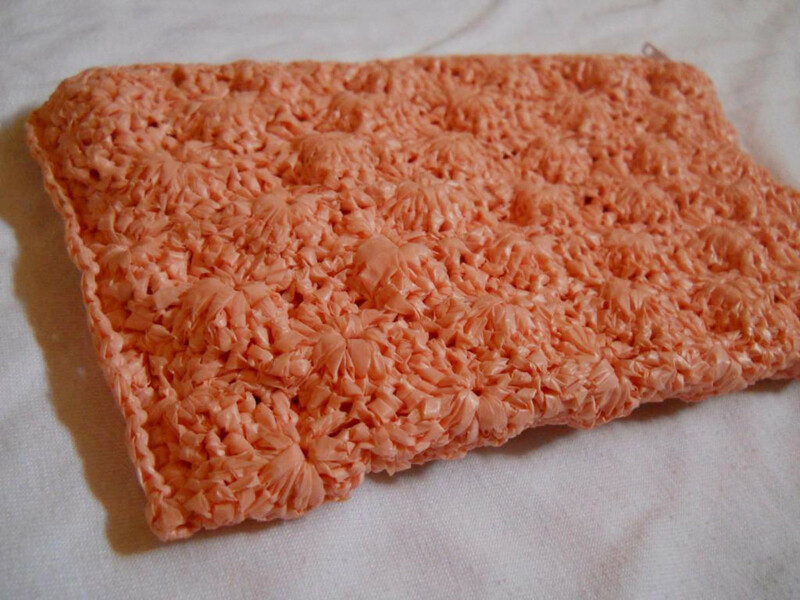 However, my use of plarn didn't make it so pretty. 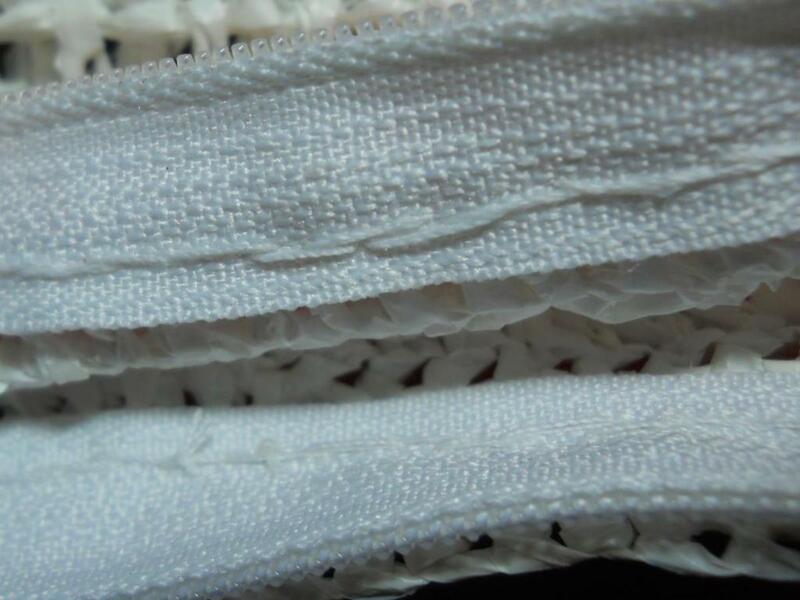 No matter how I soften my plarn, when I come to the crab stitches, it still looks rough. Although it actually looks rough and feels rough too, I still want to share this pattern for others to try. 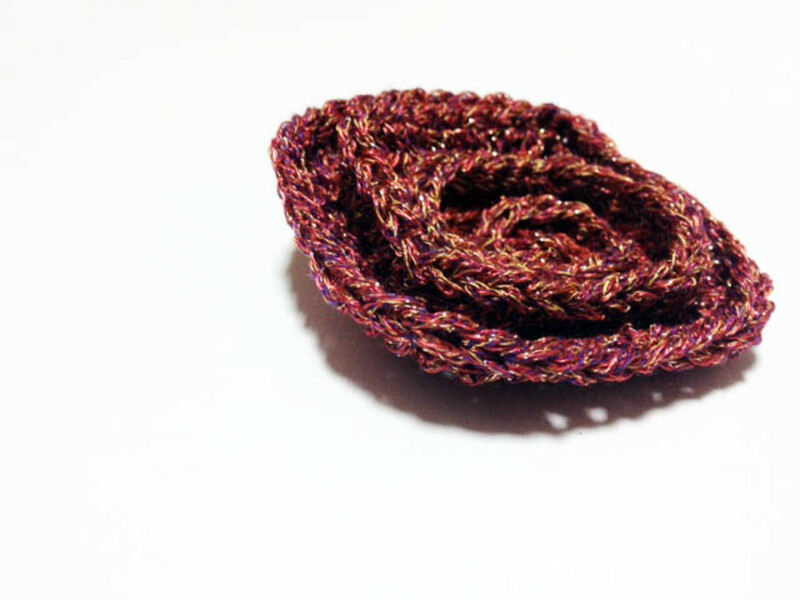 I've got a little crochet thread and tried this stitch pattern with it and it looks and feels so nice. 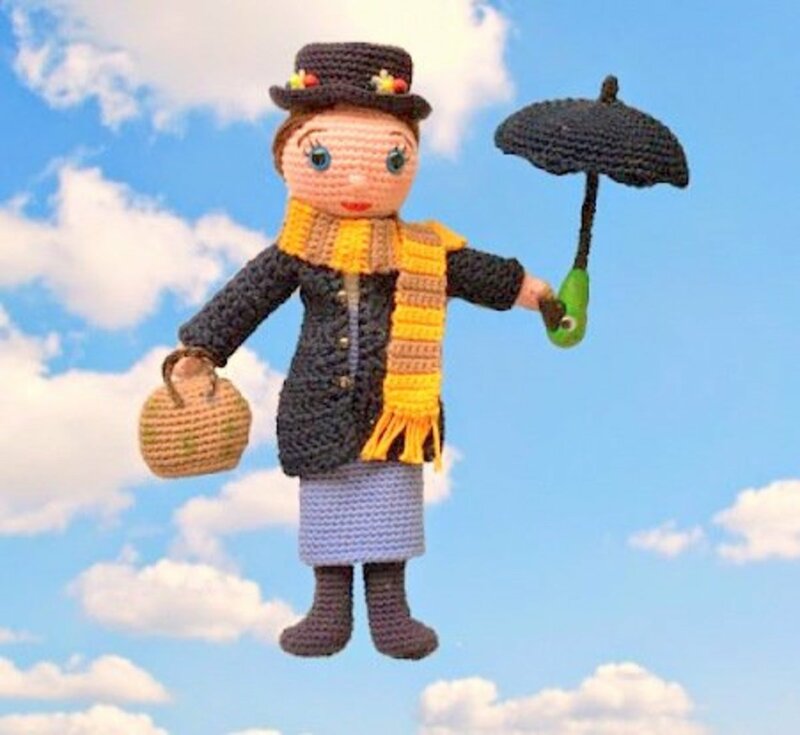 If only crochet thread wasn't so expensive! P.S. 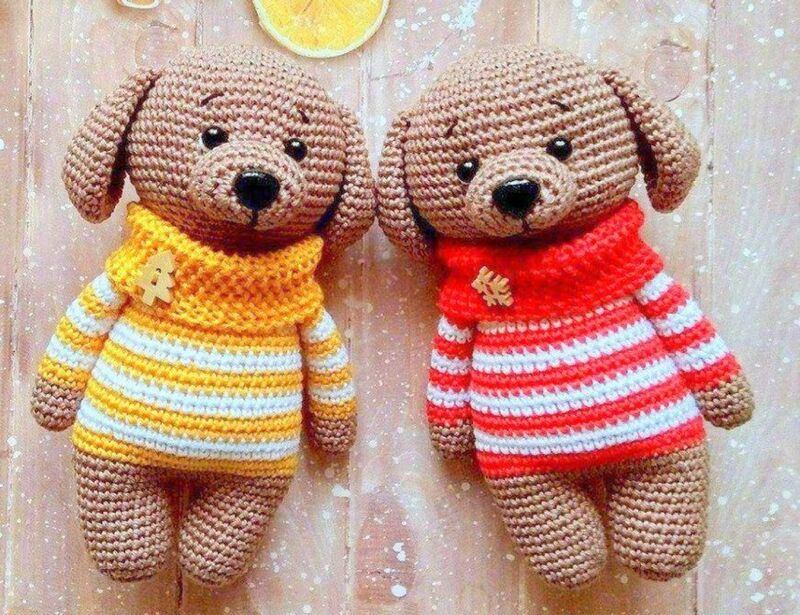 I've got a lot of free crochet patterns here - take a look! 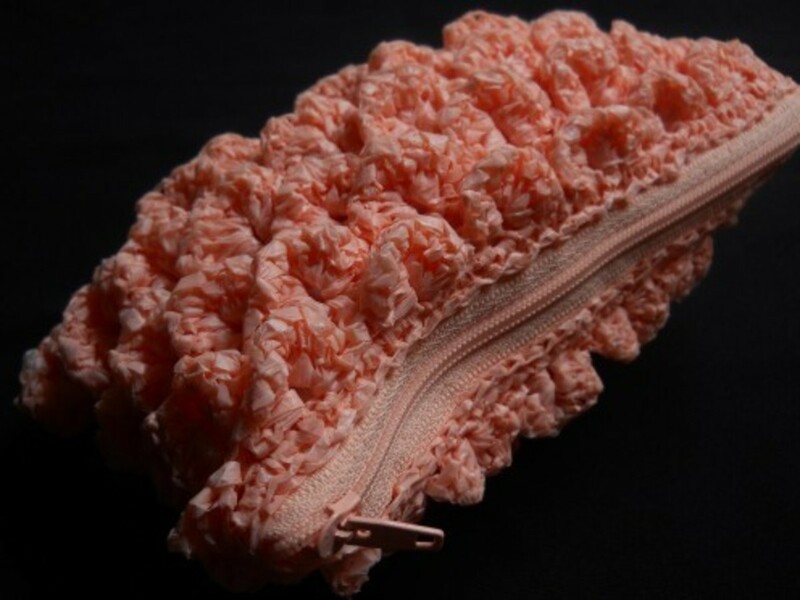 At first, I wanted to name this pouch based on its characteristics but I couldn't think of a really good one. 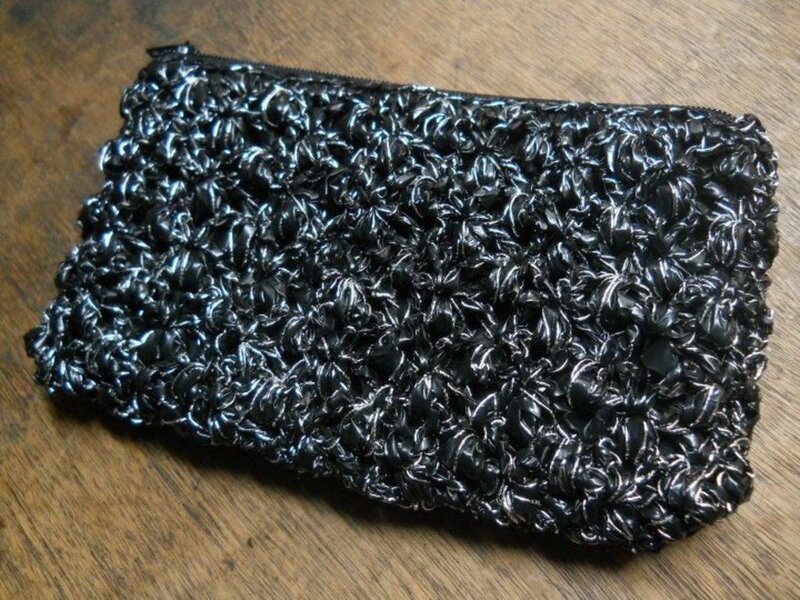 Anyway, while I was lining this pouch, I remembered a lot of people who broke their promises to me and I don't know why! 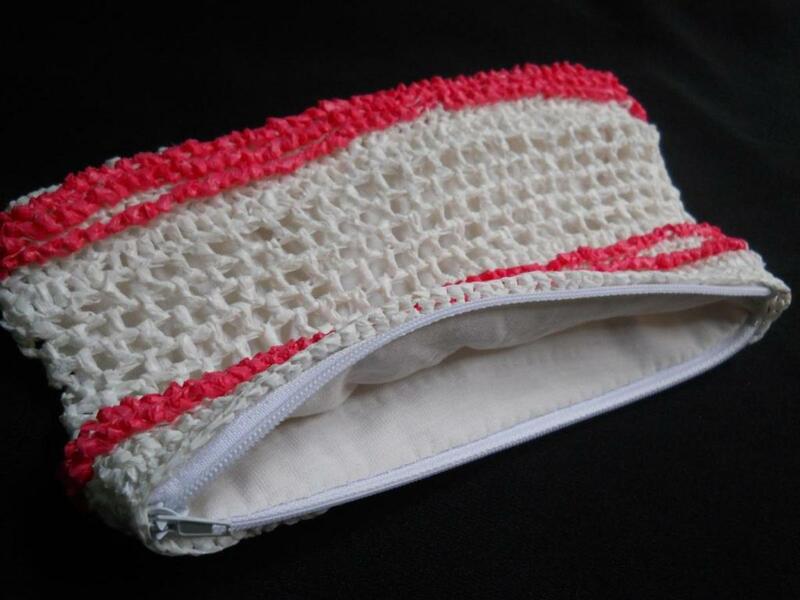 So I ended up deciding this pouch pattern is going to be named Broken Promise Pouch. I know I'll be breaking my promise to my sister of making her a pouch if she turns this one down. 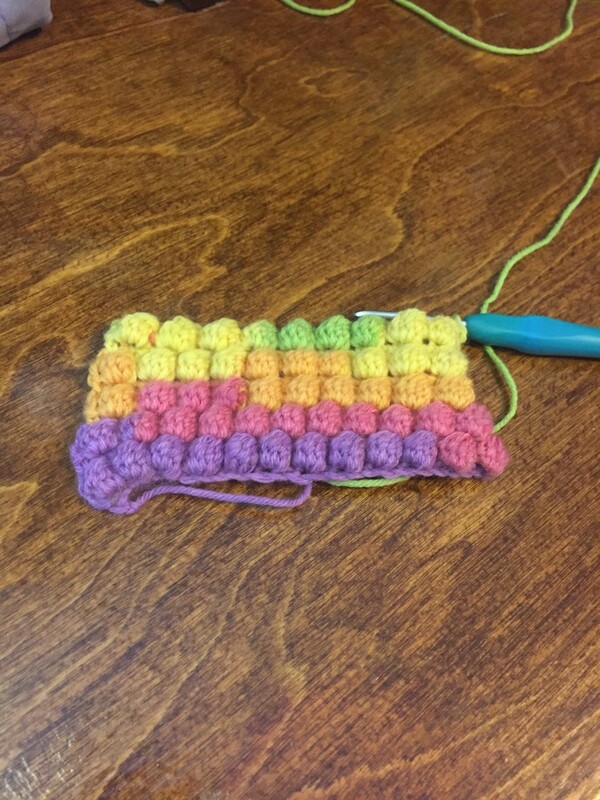 This pattern requires dc's, crab stitch (abbreviated as rsc), and working on the back posts of dc's. 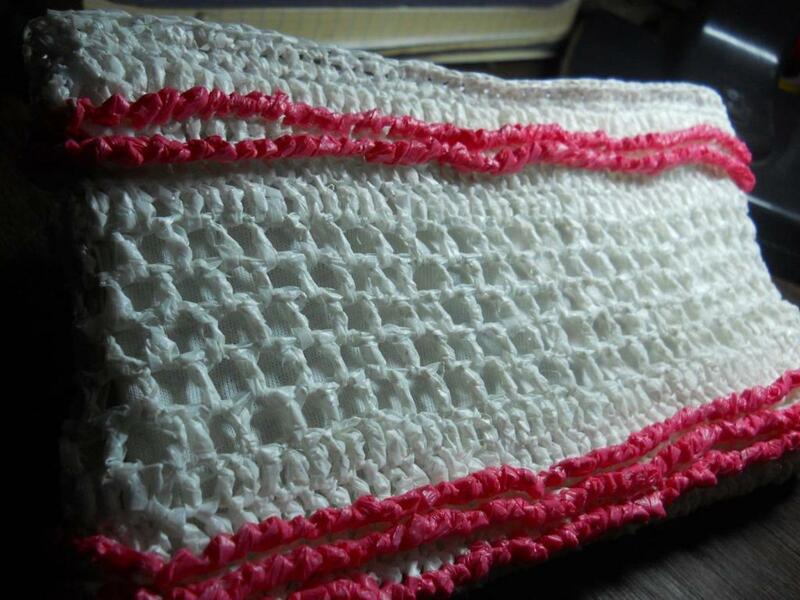 It's simple once you get the hang of making crab stitches and working on the back posts. 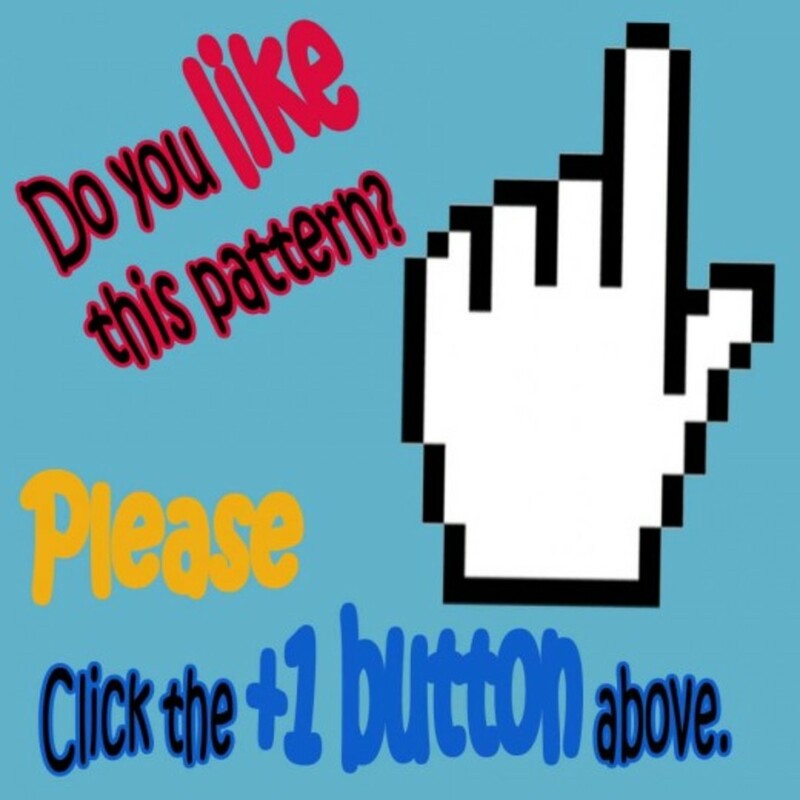 The videos include in this pattern should help you. 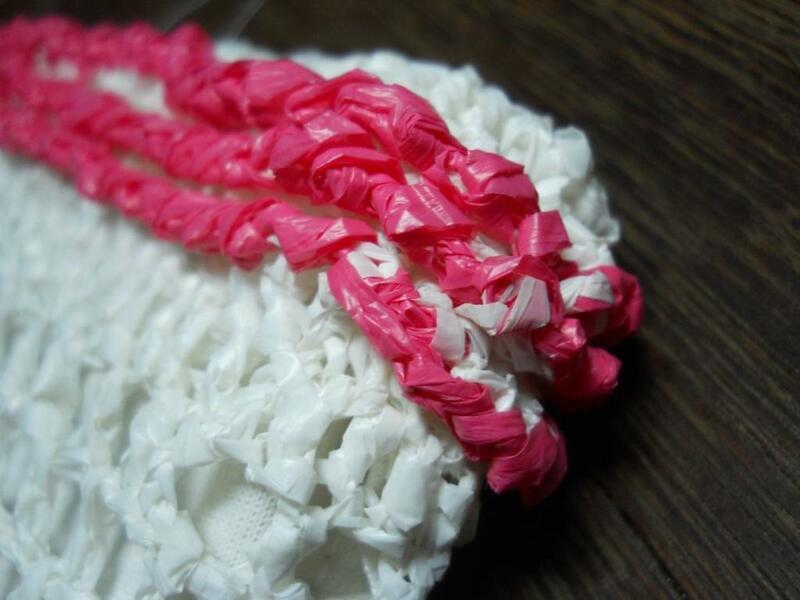 I used 1/4-in single strand plarn created from pink and white plastic bags, YKK zipper and white cloth from my dad's t-shirt. 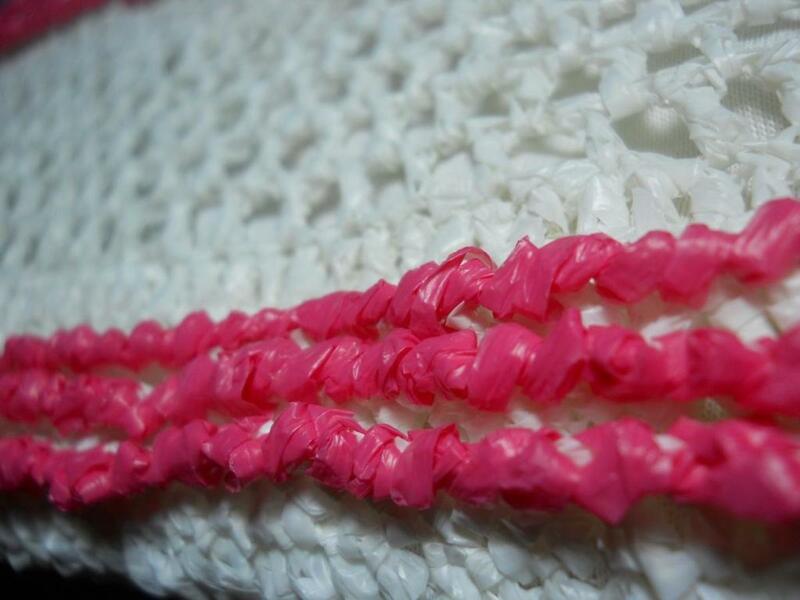 The white plastic bag was significantly thinner than the pink plastic bag, so the pink plarn looks bolder than what I meant it to be. Round 1: Sk 4 ch, dc on all the chains. Begin working on the other side of the chain. 50 dc on the other side fo the foundation chain, sl st to 1st dc, ch 3. DO NOT TURN. Round 2: Dc on all the dc’s of previous round, sl st to top of ch-3. 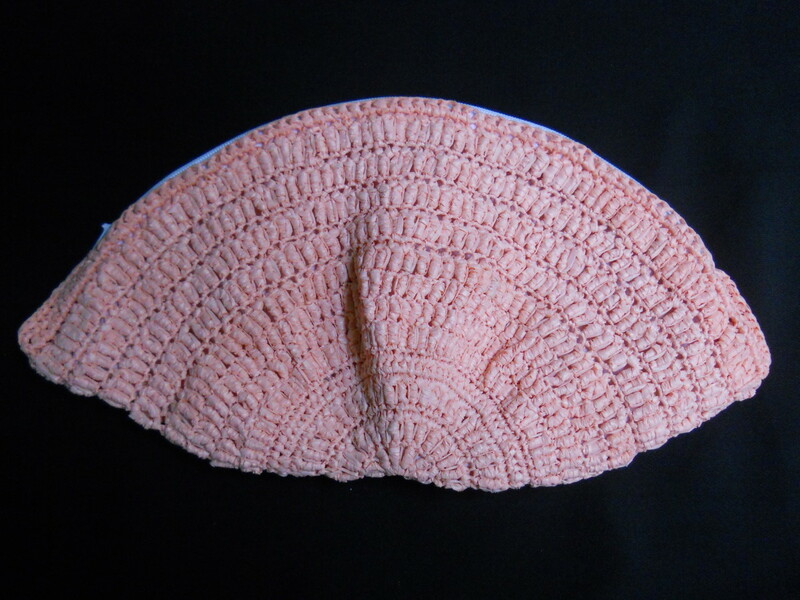 Change yarn color to pink. Ch 1, DO NOT TURN. Round 3: Rsc on all the dc’s of previous row, sl st to first rsc. 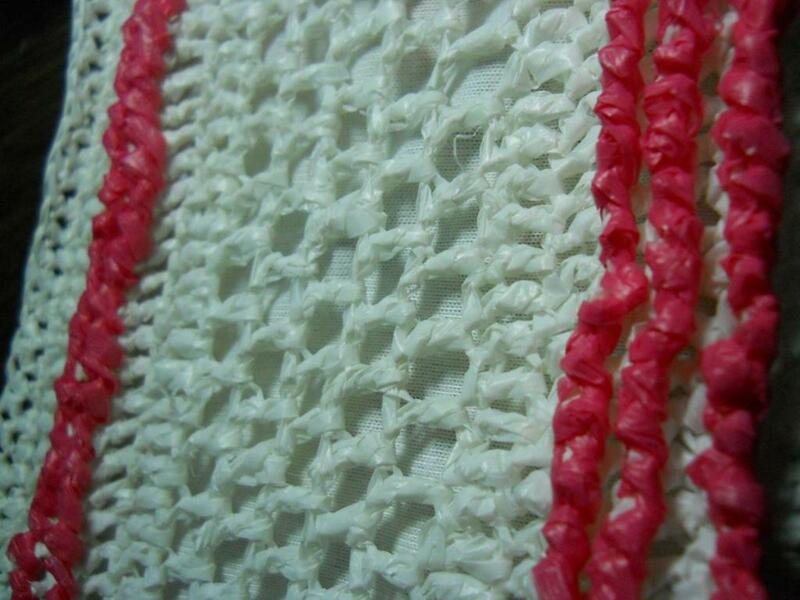 Change yarn color to white. Sl st to nearest dc-post, ch 3, DO NOT TURN. Round 4: Bpdc on the posts of the last dc row, sl st to top of ch-3. 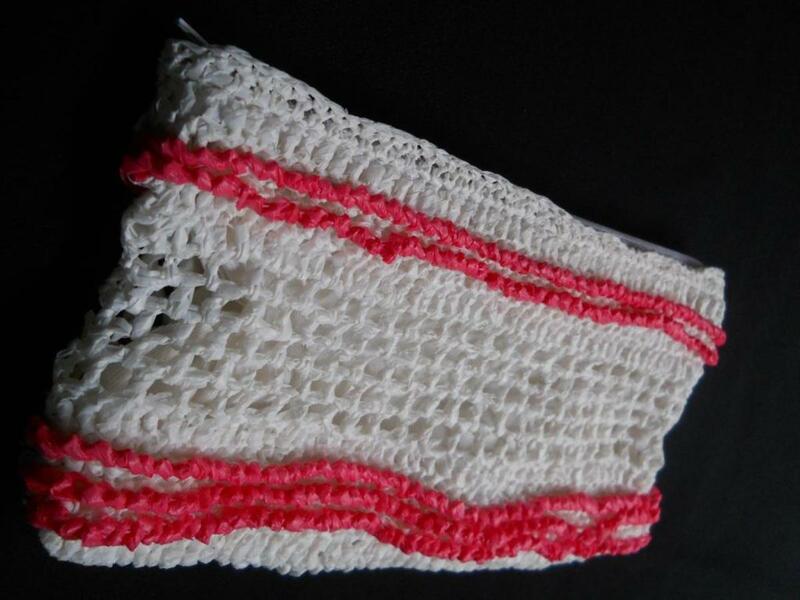 Change yarn color to pink. Ch 1, DO NOT TURN. Round 8: Bpdc on the posts of the last dc row, sl st to top of ch-3, ch 3, DO NOT TURN. Round 9: Dc on all the dc’s of previous round, sl st to top of ch-3. DO NOT TURN. Round 10: Ch 4, [sk 1 dc, dc in next st, ch 1] repeat to end, sl st to 3rd ch from base of ch-4, sl st in ch-4 sp. Round 11-14: Repeat Round 10. Round 15-20: Repeat Round 1-6. Round 22: Ch 1, sc on all sts, sl st to 1st sc. Round 23: Repeat Round 22. 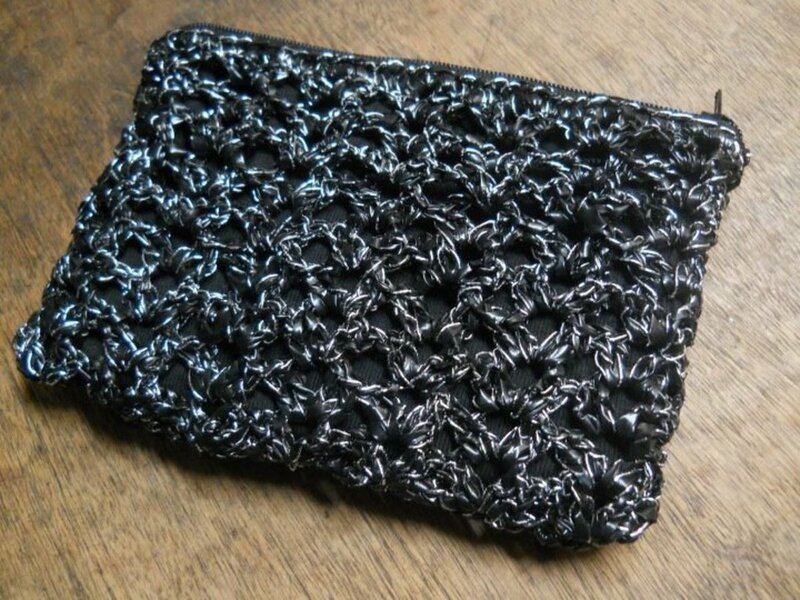 I joined the zipper to the crocheted pouch on the 3rd to the last row. 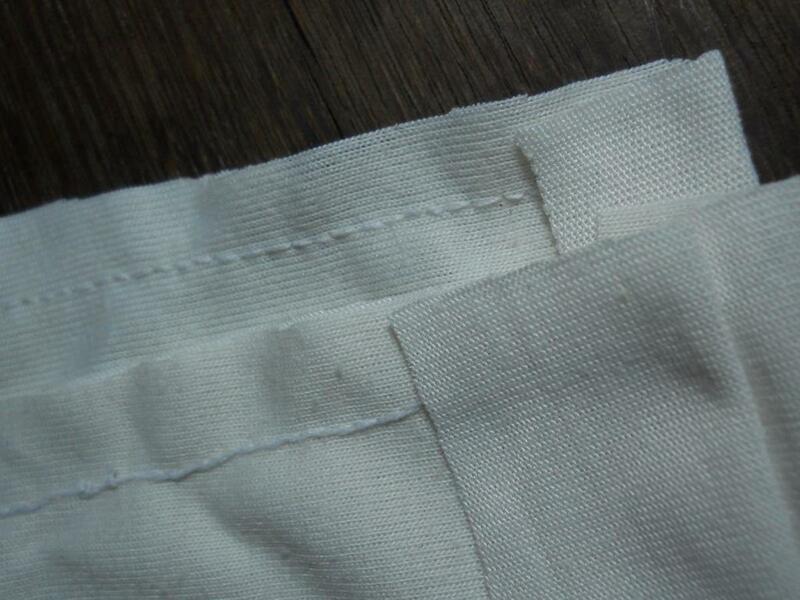 Here it is showing the wrong side stitch. 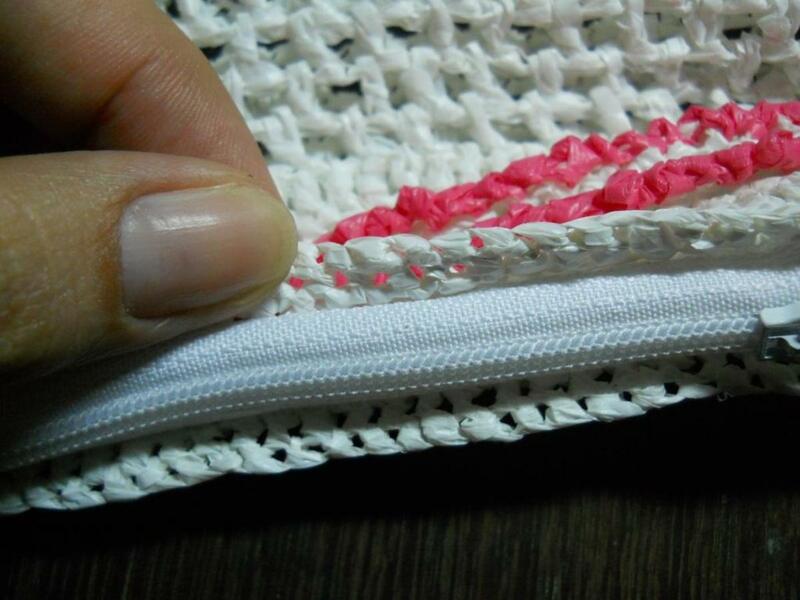 I didn't stitch through the plarn but through the holes within the stitches. I used sewing pins to keep the lining cloth from shifting while I stitched it. 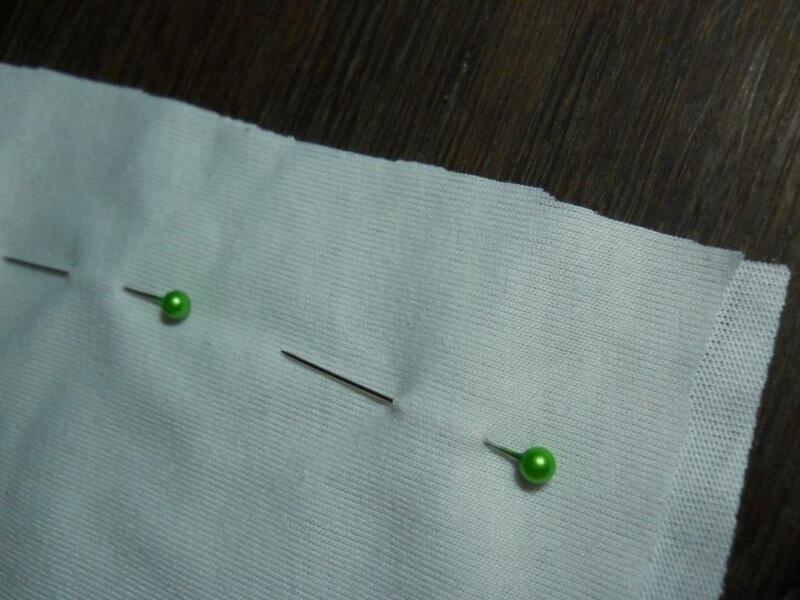 My sewing skills have really improved. 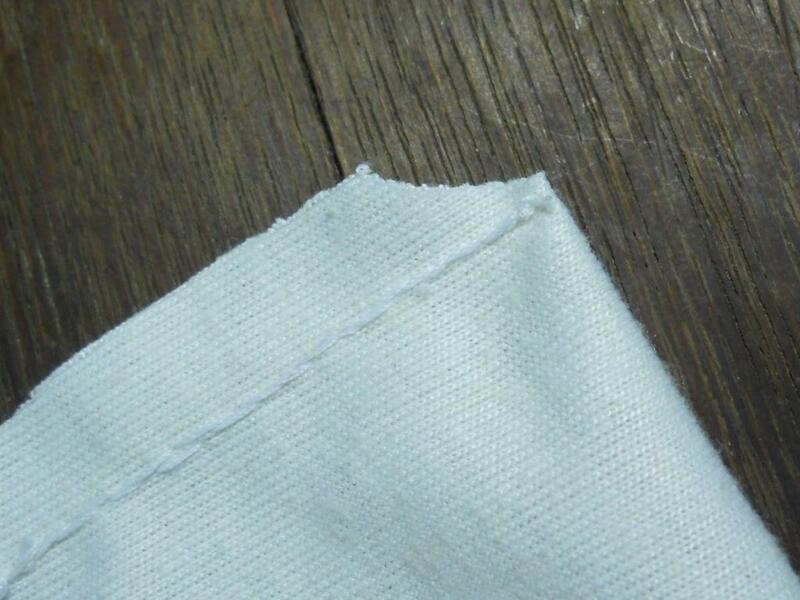 After stitching everything, I notched the lining to keep the bulk in the corners to a minimum. I just realized this recently. 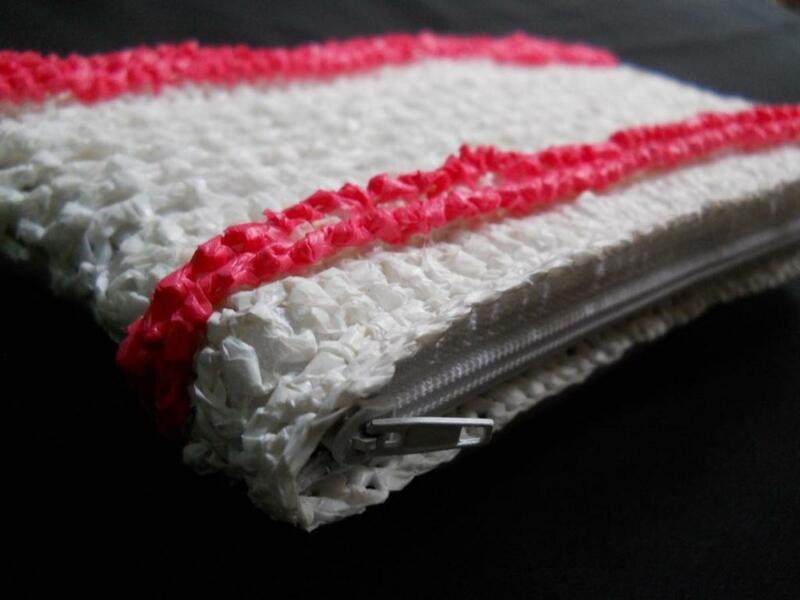 The zipper should be attached to the crocheted pouch on the second or third row from the edge and not on very last row. This makes it look like the zipper was stitched closer to the main zip yet allows enough room for the zipper to unlock. 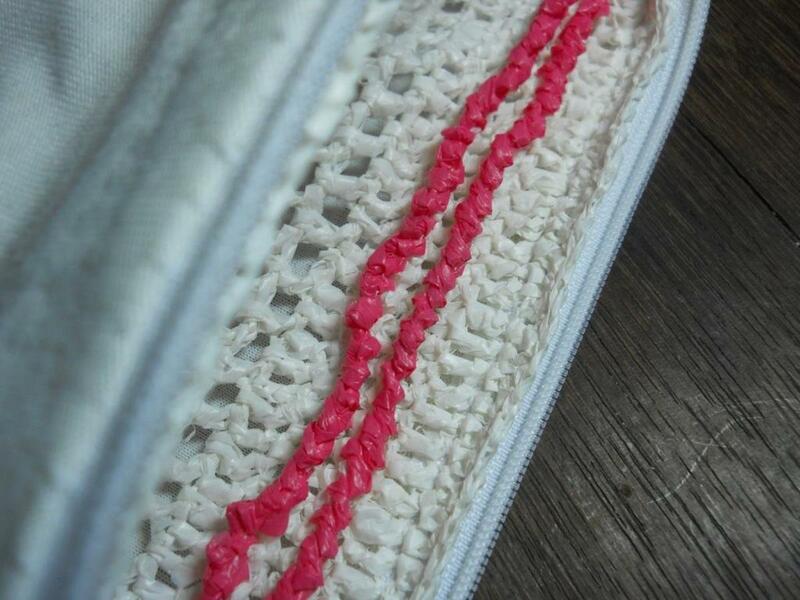 It's also easier to hide the stitches that attached the zipper to the crochet when you apply the lining. I detailed my zipping and lining in the photos. 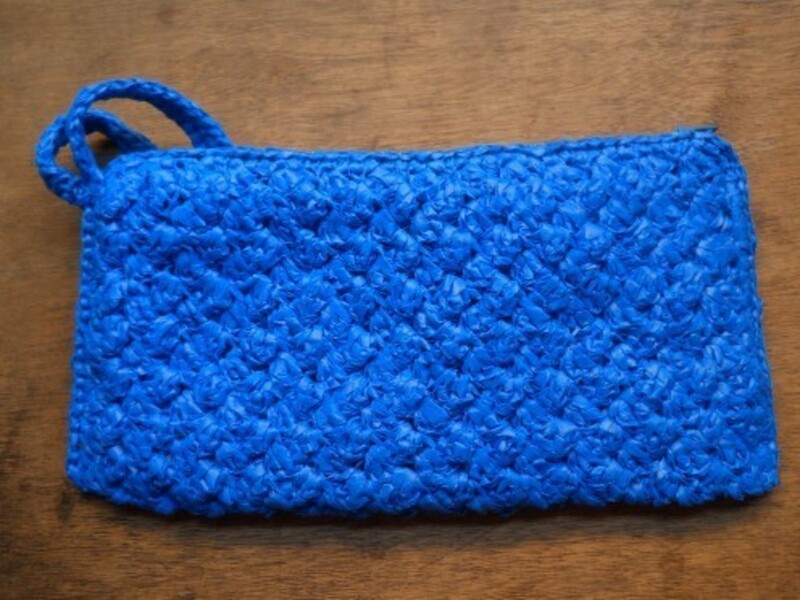 For more information about zipping and lining a crocheted bag, check out this tutorial by Carrie Wolf. I've memorized this tute by heart because I have been making a lot of pouch lately. It helped a lot that it has a lot of pictures taken from various angles to give me a very clear mental picture of how my work is going to look like.